As a young boy growing up in Paris with parents who owned and operated department stores, the Z. Bigatti Re-Storation founder watched his mother try many skincare products but she never seemed satisfied. 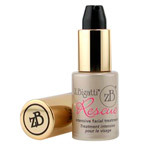 Often she would find a product that addressed one area such as wrinkles or fine lines, but she could not find an all-inclusive skincare product to improve multiple issues such as skin brightening, age spots, dry skin, or wrinkles, as Z.Bigatti Re-Storation offers today. DrSkinSpa.com is an Authorized Retailer of Z Bigatti. All Products are Guaranteed Authentic & Fresh. 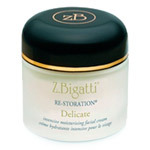 Z. Bigatti Re-Storation Skin Treatment 2oz. Z Bigatti defines “Luxury with a purpose” with this extraordinary skincare lineDetermined to please his mother and compliment the family business, the boy grew up to travel the world and study with chemists and scientists to create the Z Bigatti skin care line. 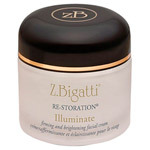 His goal was to create a Z Bigatti Restoration skincare cream which would address the three main issues of the skin: repairing, protecting, and nourishing. Using scientifically confirmed research and the world’s finest, clinically proven ingredients, the original “all-in-one” Z Bigatti Re Storation Skin Treatment Facial Cream was born and many other Z Bigatti skin care products to address other areas of the body soon followed. Z Bigatti skin care was developed specifically to address the skin’s three layers of cells. The top layer is comprised of dead or dry skin. The second layer is made up of biologically “alive” or active skin cells which are often damaged by UV rays, environmental pollutants, or the natural aging process. The third layer is a fresh, healthy, “alive” layer of skin cells that are undamaged and untouched. Z Bigatti Restoration was developed specifically to address the different needs and perform different biological work for each layer of cells. To maintain product integrity and offer the most powerful, active ingredients, Z Bigatti skin care utilizes a cold-extraction process and integrates olignutrients/nano technology. This allows for active ingredients to penetrate into the deeper layers of the skin to produce visible, real changes such as skin-plumping and firmness. 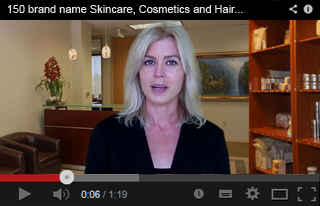 Many skincare formulas use ingredients which are heated and therefore, “dead”. Z Bigatti Re Storation uses the cold-extraction process to ensure the most potent ingredients available for effective anti-aging results. 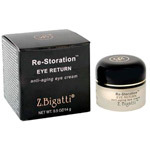 Z Bigatti skin care products reduce puffy eyes, fine lines, expression lines, and deep wrinkles while creating more youthful, plumper skin with a soft, smooth tone. 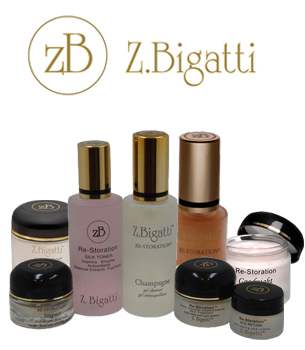 Comprehensive skincare treatment is available with Z Bigatti Re Storation Skin Treatment, Z Bigatti Restoration Champagne Gel Cleanser, Z Bigatti Restoration Silk Toner, and Z Bigatti Re Storation Enlighten Skin and other Z Bigatti skin care products. Received product as described, and before date indicated. Fast and reliable. Thanks for the great customer service. Recommend DrSkinSpa.com to all my friend.